Employers represented by the Pacific Maritime Association (PMA) said members of the International Longshore and Warehouse Union (ILWU) successfully slowed down loading and unloading at the Los Angeles and Long Beach ports to the point that crane operator shifts had fallen on a weekly basis from about 100 shifts in November to fewer than 20 in January. Under the union contract, employers are forced to pay 50% to 100% on top of normal wage rates as “premium pay”. Last weekend, the PMA was forced to suspend West Coast operations for two days because the union was gaming the contract to force employers to pay the maximum amount of overtime and double-time pay. It was hoped that volume would get back to normal after the weekend. But ILWU workers this week seemed to be slowing activity even more as part of a scheme that could force the PMA to pay double-time under the union contract’s “holiday clause” for work on Thursday for Lincoln’s birthday and the three days from Saturday through Monday as the President’s Day holidays. The port slowdown is metastasizing pain across the U.S. economy. 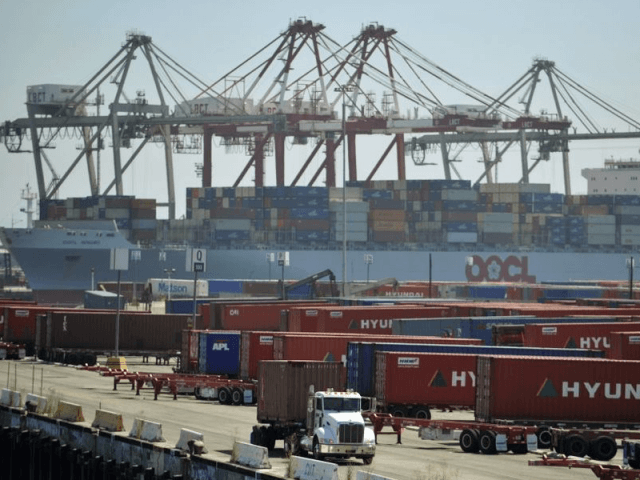 BNSF Railway Co., which handles up to 15% of U.S. intercity freight, says the number of its containers the ILWU loads and unloads at West Coast ports each week as been cut in half, from 6,000 to 3,000. But Secretary of Agriculture Tom Vilsack told the House Agriculture Committee on Wednesday that the 14-week-old labor dispute has created a “very serious situation” for U.S. meat, poultry, and grain exporters. He reported that the North American Meat Institute estimated that with beef, pork and poultry sitting in freezers near the ports rather than going to Asian markets, American ranchers are losing more than $40 million per week. He warned that with storage full, the industry would soon have to suffer huge losses by dumping meat into the American domestic market, sending prices lower. Harry Bridges, who organized the ILWU in 1930 and ran it for the next 60 years, was an ardent Marxist and staunch supporter of the Soviet Union until his death in 1990. Despite being an alleged member of the Communist Party of the United States’ Central Committee in the 1930s, he is celebrated by the likes of House Democrat leader Nancy Pelosi, who once said, as Speaker of the House, that “Harry Bridges led the struggle for worker’s dignity.” Bridges replied to complaints about his union’s violent tactics: I’m a machine man, and I head a machine.